Snake River Farms: The Best Place To Buy High-Quality Meat Online? 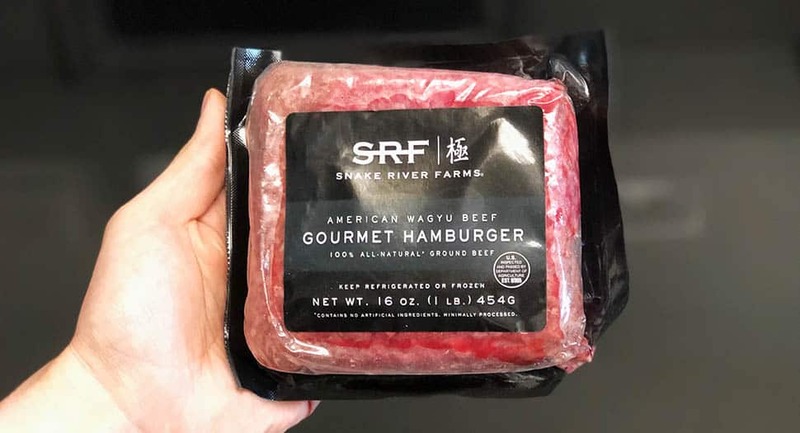 If you’re looking for a place to purchase incredibly high-quality meats, you’re going to want to check out Snake River Farms. Snake River Farms (part of “Double R Ranch” and “Agri Beef”) is a family-owned business that was originally founded back in 1968. Over the years, to maintain high levels of quality, the business has led them to get involved with every step of the beef production process. This is not something you usually see from sites that sell meat online. Often times you only see a website be the “middle man” for the farm, not the actual farm itself. However, Snake River Farms keeps everything under one roof. They monitor the entire meat process from ranch to table, which not only cuts out the middle man jacking up prices but also helps ensure the quality of the meat they’re selling to customers. 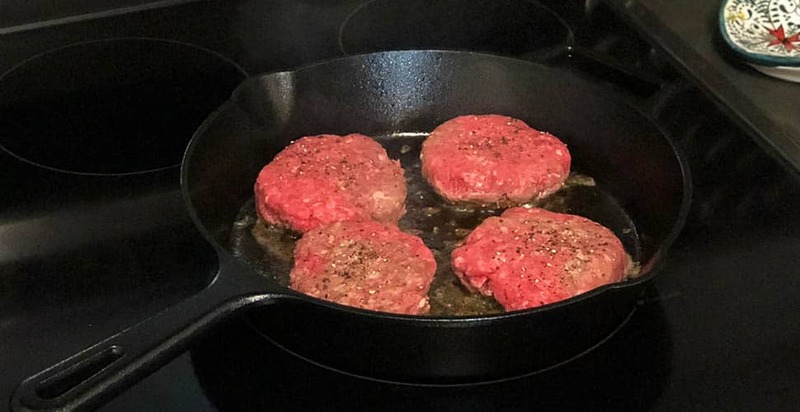 One of the main reasons I was happy to be reviewing Snake River Farms on Food Box HQ is because the beef they sell only comes from cattle raised in the Northwest. As a result, cattle have access to a wide range of feed, they experience a more temperate climate, and it ultimately produces a more flavorful beef. This ultimate comes down to the fact that the cows are simply treated better because they live a better life. Whether you’re someone who cares about this of thing or not, it plays a huge role in how your meat tastes and its quality. 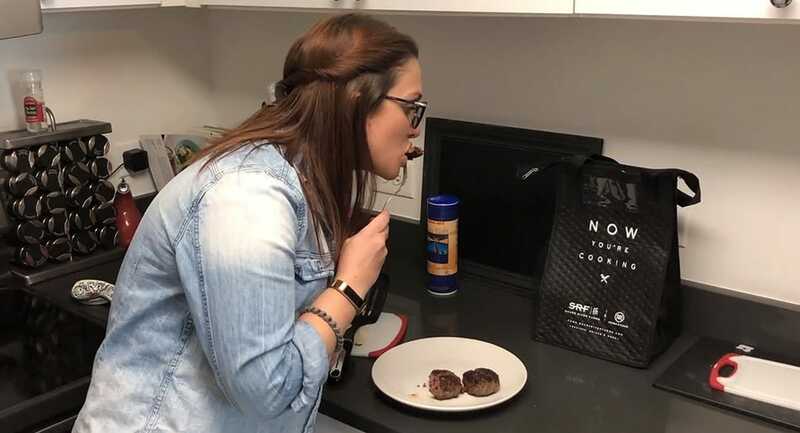 Research has shown that stressed animals taste bad. When ordering from Snake River Farms, you don’t have to worry about being locked into a subscription of any kind. You can simply purchase your meats whenever is convenient for you. That means you can order whenever you’re running low on your favorite meats and you can completely customize your order to your needs as well. They’ve made it pretty simple to navigate their site and find what you’re looking for because the shop is split into various categories, such as: American Wagyu, Kurobuta Pork, Northwest Beef, BBQ, and Dry-Aged Beef. One thing to note about Snake River Farms is that they’re the premier producer of American Wagyu steaks and roasts. In fact, their meat is served in some of the top restaurants around the world, which is pretty impressive! So if you’re looking for restaurant quality Wagyu meat in your own home, this is a great place to go. If you’re not already familiar, Wagyu beef is known as American-style Kobe beef. It is created by cross-breeding Japanese Wagyu cattle with continental breeds of cattle. There’s quite a selection of these American Wagyu meats when it comes to Snake River Farms. Their Wagyu menu includes: American Wagyu Black Grade Culotte, hot dogs, Black Grade Boneless Eye of Ribeye Roast, Outside Skirt Steak, Flank Steak, and more. You’ll find all kinds of steaks, roasts, brisket, burgers, hot dogs, ribs, and speciality items as well as Gold Grade meats. These are Wagyu meats that are, quite literally, top of the line. They have a Beef Marble Score rating of 9 to 12, which is the highest level of marbling in the world. They also offer Kurobuta pork, which is considered to be the same level as Kobe beef. Their pork selection includes gourmet hams, pork bellies, hardwood smoked bacon, baby back ribs, and so much more. When browsing their shop, you’ll find selections such as: Kurobuta Half Bone-In Ham, Kurobuta Pork Porterhouse, Kurobuta Short Ribs, Kurobuta Frenched Pork Chop, Kurobuta Pork Tenderloin, and more. There’s also a selection of “Northwest Beef” you can order from their site. This includes steaks, roasts, prime, brisket, ribs, burgers and dogs, and some speciality items. On this section of their site, you’ll find flat iron steak, tenderloin pieces, outside skirt steak, flank steak, t-bone, New York strip, and so much more. American Wagyu Black Grade Top Sirloin — 6 oz. Filet Mignon — 6 oz. 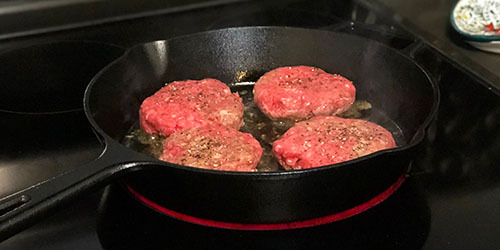 American Wagyu Ground Beef — 1lb. We ordered the most popular varieties we could find on their website. Deliveries can be made within the United States, with the exception of Puerto Rico, Guam, and other United States territories. Snake River Farms is also unable to process international orders and they cannot deliver to P.O. Boxes or APO/FPO Boxes. You’ll want to keep this in mind before placing your order. When ordering, you’ll notice three different options for shipping your order. You can choose Standard, Express, and Overnight shipping. There’s also the option for Saturday delivery, which requires you to pay a $15 upgrade fee on top of the shipping fee. For those who are located in Alaska and Hawaii, you will not be able to choose Standard shipping for your order, but instead they must be shipped via Express shipping. Snake River Farms processes orders Monday through Friday for deliveries to go out Tuesday through Saturday. You can expect your order to arrive either UPS or FedEx, as they work with both companies to get orders into the hands of their customers. You will receive tracking information via email, which will allow you to see who is shipping your package and when you can expect it to arrive. Great care has been taken to ensure your meat remains fresh while it’s being transported to your home, so you don’t have to worry about anything spoiling. All meat has been perfectly aged and immediately flash frozen prior to being shipped out. Then, the meat is individually sealed in air-tight packaging to keep it fresh. In the order we received for our review, the meats were still 100% frozen even though they had been in transit for around 48 hours. This is due to the premium packaging that they use. First, they use a regular cardboard box with an inner liner made of recycled jute material. This is a thick layer that is used to both insulate and protect the contents inside of the packaging. Inside of that you’ll find the dry ice and a reusable thermal bag that holds the meat. 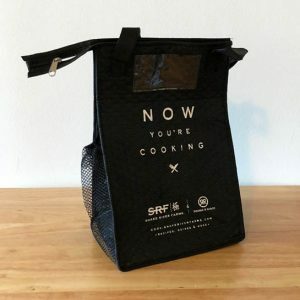 The reusable bag has side pockets that allow you to put beer, wine, or anything else that’s small that you might want to carry with your meats. It’s also important to note that larger items are not going to fit inside the reusable bags. That goes for things like hams and briskets. However, they will still be kept cold during transportation due to the dry ice. All of the cuts of meat have been wet-aged for at least 21 days before they’re packaged and shipped out to customers. If you’re not familiar with this process, wet-aging means they’ve marinated a piece of meat in its own juices while preventing it from being exposed to the outside air. According to Snake River Farms, this makes for a juicier, more tender piece of meat. And based on our taste test (seen in the video) they’re absolutely correct. 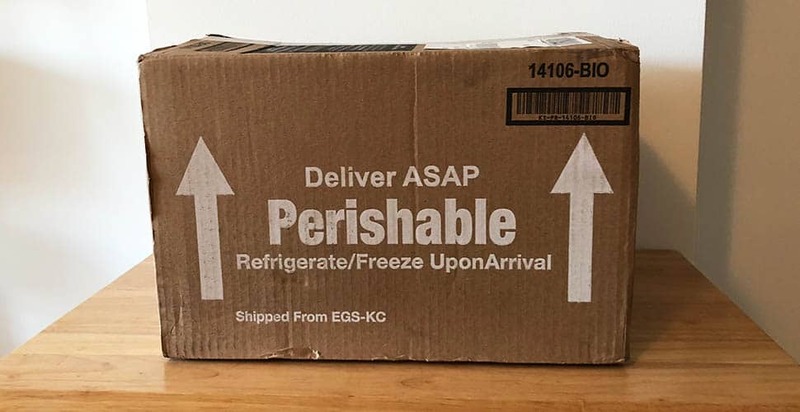 All of the perishable items in your order will ship frozen. You can expect them to arrive frozen, partially thawed, or chilled. 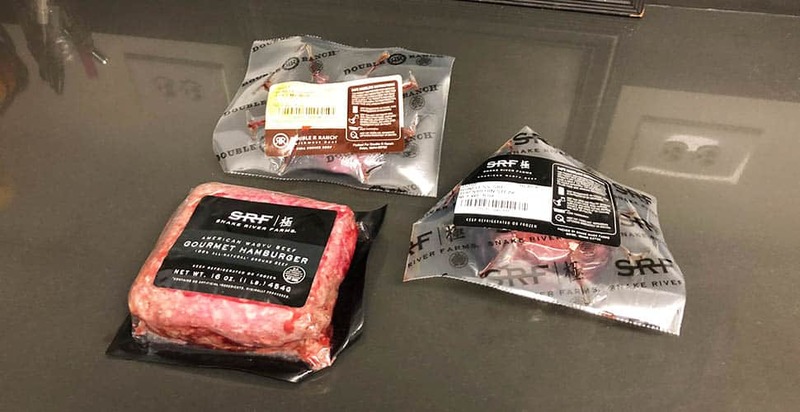 Although Snake River Farms does ship meats in a refrigerated environment, sometimes meat can start thawing out before you’re able to receive the box. As long as your meat has not been completely defrosted, you can refreeze it without worrying about decreasing the quality of the meat. However, once a cut of meat has been completely thawed out, they do not recommend freezing it again. Instead, keep it in the refrigerator in its original packaging and make sure you use it within approximately five to seven days. Because you’re simply receiving various cuts of meat, it’s up to you to cook them and bring them together in the perfect, delicious dish. Although, if you’re not sure how to best cook a particular cut of meat or you don’t know what kind of dish you should make, all hope is not lost. There are plenty of recipes, cooking guides, how-to videos, and professional chef tips on the Snake River Farms website here. You can browse their featured recipes for a variety of meats or you can search by cut to find your ideal recipe. Since they aren’t technically selling a “meal kit” I was very surprised to see that they went above and beyond for their customers by setting up this section of their site. It’s a huge plus, especially so if you want to cook professional-level dishes with these meats. The steps Snake River Farms has taken to ensure the quality and safety of their beef really shows with every cut of meat you order. In our taste test we were blown away with how tender and juicy each cut was. When you bite in you can hands-down taste the difference in their meat versus regular store-bought meat. By ensuring meat from premium cattle has been fed a nutritionally-balanced diet, there’s no doubt the cuts are going to taste great. Of course, how you cook the meat plays a large role in that (which they help with) but you still need to start with a great piece of meat if you want that truly delicious dish. How much you spend with Snake River Farms is going to depend on what you purchase and how much. The prices range based on the cut of meat, as some are more expensive than others. It can be very simple to go overboard and buy a lot so it’s probably best to set a budget and start shopping with a list of specific items in mind. There was a moment where we initial had hundreds of dollars worth of beef in our shopping cart because it all looked so good! Here’s a brief example of what you can expect in terms of costs… You can order a five-pound package of American Wagyu hot dogs for $49. American Wagyu Black Grade Brisket will start at $149. You can purchase a Kurobuta Slab of Bacon for $69. And you can snag a Kurobuta Boneless Whole Ham for $119. Snake River Farms is definitely one shop to consider if you’re on the hunt for high-quality, flavorful meats. They have such a large selection, giving you easy access to everything you could possibly need when it comes to meat. The taste of all the meats we reviewed was certainly one of a kind. I had never had Wagyu meat prior but now it may be hard to go back to regular meat after trying it! In addition to the quality, they actually have a ton of quantity (variety) too. Not something you see everyday—usually one of the other. Overall, I’m very impressed with Snake River Farms. Have you tried them before? Have a question we didn’t answer? Leave your comment below! Waygu can be hard to find in an actual store. Unless you’re around “top shop” style restaurants that get it delivered, you’re unlikely to have a butcher carry it (too rare). Some places also basically fake it and sell wagyu that shouldn’t be labeled as such. Double R and Snake River are a good choice. They are the same company? Yes, they’re technically the same company.